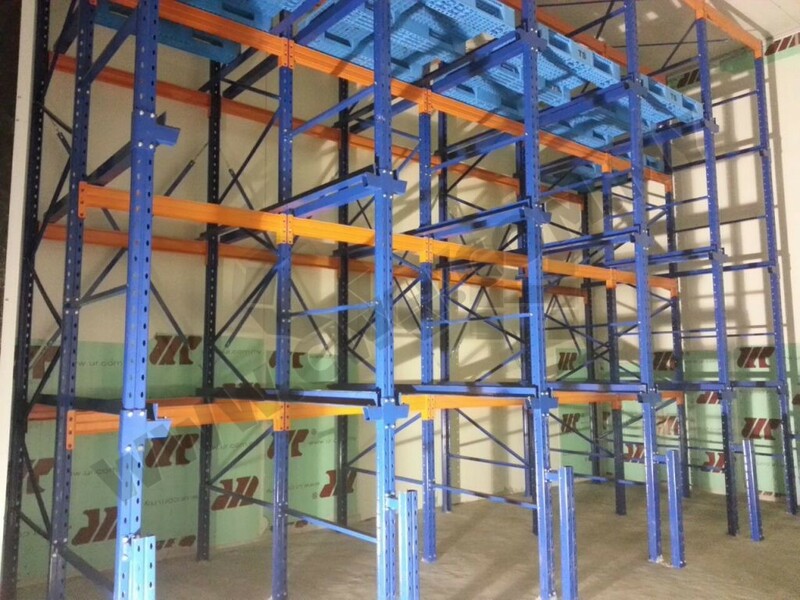 CWH DRIVE-IN RACKING SYSTEM provides the modern solution of storing huge quantity of products in the form of pallets. Goods are placed on pallets which are supported by supporting horizontal rails on the uprights. 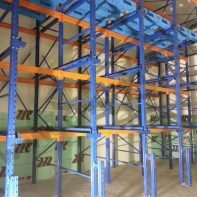 Material Handling Equipment such as Forklift Trucks or Reach Trucks can be used for the retrieval of pallets. Trucks are driven into the lane of the racking system and the usage of specially designed safety floor channel guide the trucks to prevent the collision into the upright. Another feature is the Post Protector at the front of upright frame. It formed additional defense of protection from accidental knocks caused by negligent. Utilization of floor capacity is 65%.